If you missed this first time round (1995) Heartbeat have re-issued it with 3 additional tracks (June 2006). 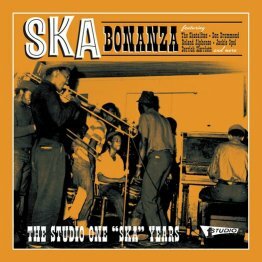 The 44 Ska tracks found on this collection are not only pivotal parts of the Studio One story, the legendary producer Clement Dodd, the owner of Studio One, they are ingredients in the musical legacy of Jamaica. Deluxe edition Heartbeat double CD CDHBEA305 USA.